New Jersey should have diverse energy sources, including offshore wind energy, but the state needs to be mindful of the cost to ratepayers, NJBIA told the NJ Board of Public Utilities (BPU). Offshore wind can be pursued effectively and affordably if plans include a thorough cost-benefit analysis. 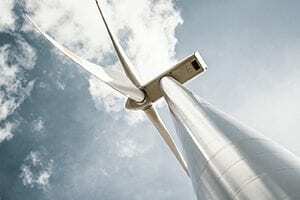 In a letter submitted to the BPU on Friday, she noted that Massachusetts process for an 800 Mw offshore wind project included scoring proposals on both qualitative and quantitative costs. New Jersey is planning to solicit proposals to generate 1,100 MW from offshore wind. NJBIA noted that New Jersey currently has the highest electric rates in our grid and the 12th highest in the country. The commercial and industrial ratepayer consumes 64 percent of the electricity in New Jersey and has a vested interest in the development of energy policy, the implications on competitiveness and ratepayer impact. Currently, 24 percent of the electric bill is from government imposed taxes and fees. NJBIA has been involved in this discussion for many years and seeks to balance the environment with the economic impacts to ratepayers. NJBIA applauds the efforts of the Governor and legislative leaders for their vision on this topic and continuing the dialog regarding wind power, Buteas said.